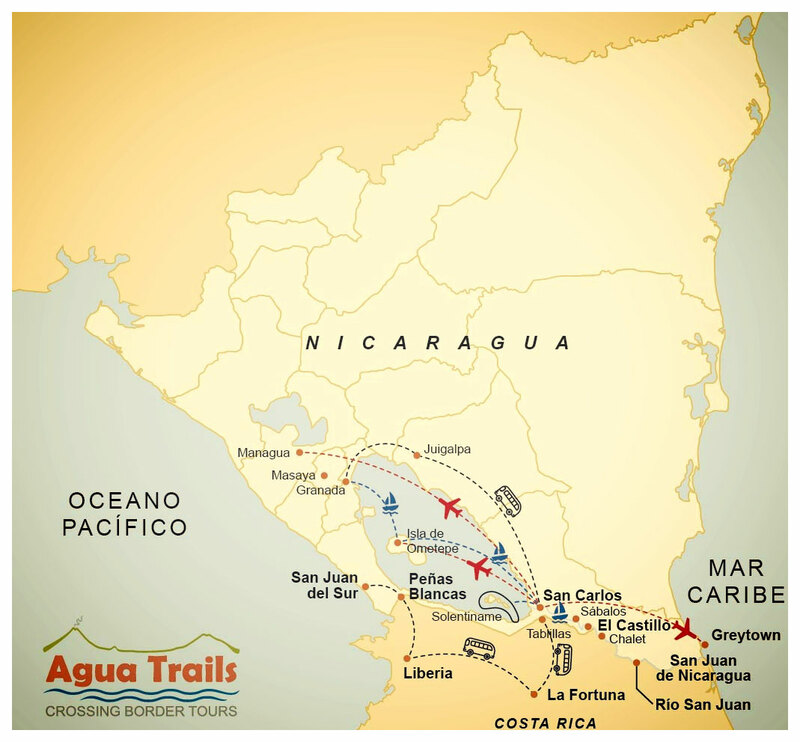 Agua Trails has been operating affordable multi-day tours and shuttles to Nicaragua for almost a decade. We are a Costa Rican tour operator that offers shuttles and multi-day tours to Nicaragua leaving from Costa Rica (La Fortuna). Our bilingual local staff in Costa Rica and Nicaragua provides a smooth service at the border, and our enthusiastic service providers are keen to make your stay in Nicaragua a unique and unforgettable experience. 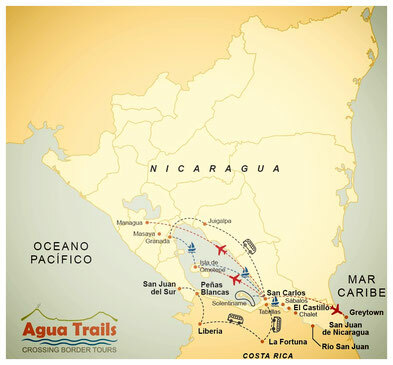 Are you enjoying Costa Rica and looking for your next destination travel to nearby Nicaragua with Agua Trails!